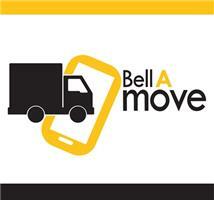 Bell A Move Ltd - Removals/Storage based in Croydon, Surrey. BellAMove is a specialist removals company with a wealth of experience and expertise in undertaking a diverse range of removal services, offering the perfect execution of stress-free relocations. Whether you want help with whole business or property relocation; or just require a selection of items moving securely, we are able to assist. Our fully trained, highly experienced team have the technical ability and skill to deal with the most complex and diverse removals in order to grant you with complete confidence that your belongings are in the safest, most capable hands. With numerous locations strategically placed we are able to offer services throughout London, we promise to deliver a service unrivalled by any other removal company, and our rates remain very competitive and affordable.